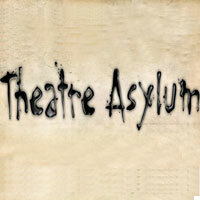 Theatre Asylum will present David Mamet's The Anarchist, starring Felicity Huffman and Rebecca Pidgeon. The Anarchist runs from April 24th through May 23rd with previews April 16th, 17th, 18th, 19th, and 23rd at 8pm. Regular showings every Thursday, Friday, Saturday and Sunday at 8pm. General seating will be $34. For reservations or more information please visit https://www.plays411.com/anarchist or call 323-960-7784. 35 years ago, Cathy (FELICITY HUFFMAN) killed two police officers after inciting an act of anarchy. Now, she comes face to face with her parole officer, Ann (REBECCA PIDGEON), for the last time. This 70 minute, thought-provoking play comes to a head as Ann seeks a sign of true rehabilitation or at the very least regret, while Cathy bargains to be set free. Pulitzer Prize winning playwright David Mamet (Glengarry Glen Ross) and LA Drama Critics Circle Nominated Director/Producer Marja-Lewis Ryan (One In The Chamber) team up with Academy Award Nominee Felicity Huffman and Film Critics Award Winner Rebecca Pidgeon. For tickets, visit https://www.plays411.com/anarchist or call (323) 960-7784. Huffman appeared for eight seasons on the ABC nighttime sudser Desperate Housewives. The actress earned two Emmy noms, including a win for her role in Housewives, and recently appeared in Transamerica, for which she received an Oscar nomination. She is a five-time Golden Globe nominee for Desperate Housewives.